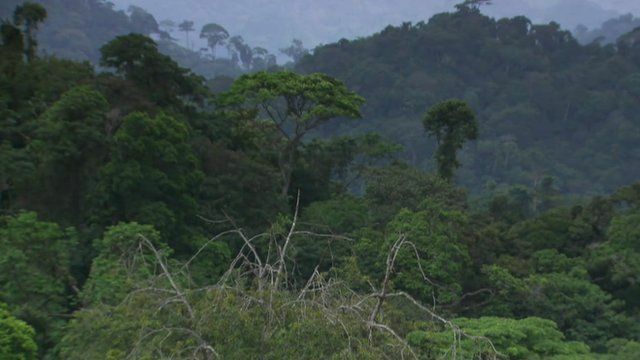 Illegal logging in the rainforest Jump to media player The BBC's Panorama programme has spent six months tracking illegal timber from the Congolese rainforest to western Europe. Culture shock for Amazon chief's son in NYC Jump to media player Nilson Tuwe Huni Kui came straight from the Amazon rainforest to New York City in September. 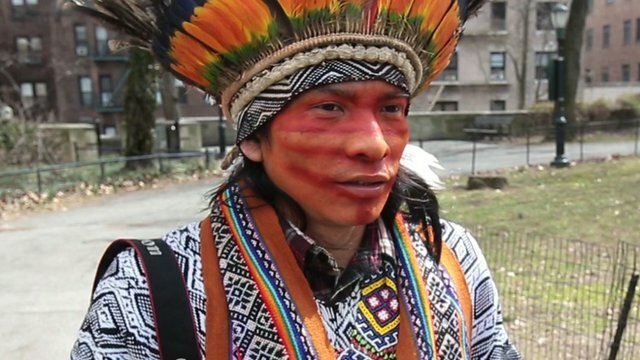 The son of a tribal chief spoke to the BBC about the culture shock as well as his dream of becoming a film-maker. 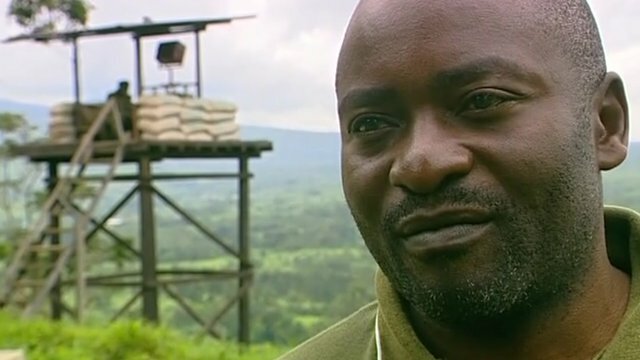 Fight to protect Congo's rainforest Jump to media player One of proposals being considered there is whether countries should be paid to protect the forests which play a such a crucial role in absorbing greenhouse gases. 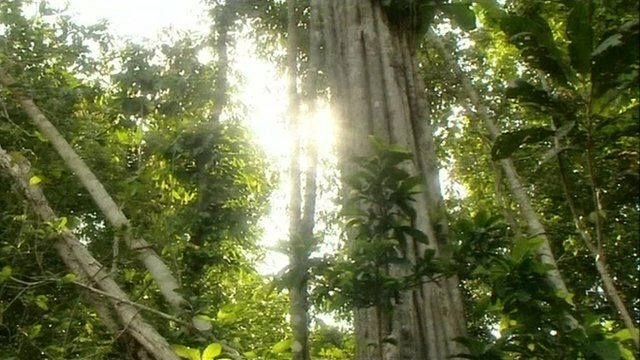 The BBC's Panorama programme has spent six months tracking illegal timber from the Congolese rainforest to western Europe. It has revealed that the new EU Timber Regulation is failing to stop illegal wood reaching Europe. Reporter Raphael Rowe showed logs which appeared to have had its identification markings changed, to logging industry investigators Brad Mulley of Forests Monitor and Serge Moukouri of Resource Extraction Monitoring. The company that fells the logs, Taman Industries Limited, said they do not illegally export timber and a "human error" had been made while marking the logs. They agreed the stamps on the logs we filmed appeared to be changed and promised to get back to us with further details. They never did. Panorama's Jungle Outlaws: The Chainsaw Trail is on Thursday 25 July at 1900 BST on BBC One.